Olajide Bamidele, South West Regional Manager of 360Pera Solutions has disclosed that the ancient city of Ibadan is the best place to determine whether a business can survive in Nigeria or not. In an exclusive interview with IBPulse.com, he said unlike the popular notion that Lagos is the best place to start a business, Ibadan is more accessible than Lagos; and the time is right for businesses to start from Ibadan and spread to Lagos and other parts of the country. “A lot of things have been started from Lagos and they eventually spread to Ibadan, but not many innovations have been propagated from Ibadan in recent times. “Apart from that, Ibadan is the next place businesses are beginning to look at for investment in the south western part of the country after Lagos, so we are positioning ourselves for this phase of development,” Bamidele told IBPulse.com. On why 360Pera Solutions decided to start from Ibadan, he said the business solution and financial empowerment platform started in Ibadan as a result of the increase in the number of online activities originating from Ibadan. “We started in Ibadan because a lot of online activities are being originated from Ibadan recently and people have to patronize websites that does not have any office in Ibadan to buy online. Also, people need to be more sensitized about buying online in this part of the country,” he said. 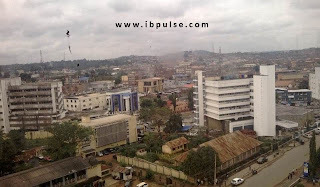 Concerning the notion that it is difficult to start new businesses in Ibadan, he said the view is a wrong myth. Great concept..Please can you tell us,what is this 360Pera Solutions about?